Amid a report showing images said to be the Apple iPhone 5S, a research analyst has some information about a lower priced model of the iconic smartphone expected out later this year. According to Topeka Capital's Brian White, the Cupertino based tech titan will release what he believes will be called the Apple iPhone mini or the Apple iPhone Air. White expects pricing to be as low as $250-$300 unsubsidized compared to the $649 off-contract price for the 16GB Apple iPhone 5. According to White, the low-cost Apple iPhone would be a big boon for the company in China where it can compete against homegrown models, like ones made by Xiaomi that offers high-end features for a mid-range price ($320 USD). The Apple iPhone mini or Apple iPhone Air will also help Apple better compete in emerging markets like Brazil, Russia and India. The device would have lower margins than the full priced Apple iPhone although when sold in volume, the margins would be above the corporate average. More importantly, White says that a low-cost version of the iPhone would allow Apple to finally get a device on China Mobile's lineup. Up to now, Apple has been unable to crack the lineup of the world's largest carrier due to compatibility issues with the proprietary 3G pipeline used by China Mobile and other issues. The analyst says that the low-priced version of the Apple iPhone could be launched as soon as this coming June. White's information seems to dovetail with other reports indicating that both an Apple iPhone 5S and Apple iPhone 6 will be released this year. 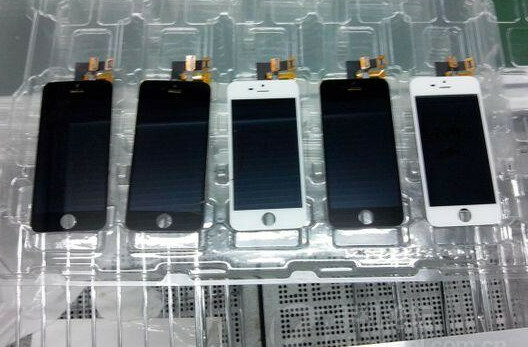 Before Monday's leak of what allegedly are photos of the upcoming iPhone 5S, we showed you pictures of what are believed to be some of the parts that will be included inside the Apple iPhone 5S and Apple iPhone 6. No more iphone's please, it is enough! Same old design no innovation at all! Just small upgrades, nothing special! And yet the iPhone is still the hottest selling phone on the market. Can't wait to buy this phone!! What will be the use of 4S then?? This should've been a scene seen 1 year or 20 months ago. Apple's really late in the game... You will never see an iPhone that costs $200-$300 whose specs are somewhat like that of the 4S. That would break 4S' customers... And even if it were to be like 4S the introductionary price is going to get high and it will stay there for about 9-10 months. lol it's only a dream... don't expect it will happen if it's from Apple... at that price range, you'll only get specs like entry level android phone, TFT display with 480x320 resolution, 512 MB of RAM, single core CPU, and crappy GPU.. But if that's an android phone, you'll get HD IPS display, 1 GB of RAM, dual core CPU, mid class GPU.. Android rulezzz!!! Only because people are entrenched into an ecosystem. They have to buy what Apple throws down their throats or else lose years of App and accessory investment. And many of Apple customers just don't care about specs or that iOS looks the same. If Samsung screws up the S4 I could go to the Note 3. If Samsung screws up the Note 3 I could go to HTC. If HTC screws up I can go to Motorola. If Motolora screws up I can go to LG or Sony. As you can see your forced to eat what ever Apple craps out. As long as Google keeps innovating Android will not fail. U r too, jus as u can leave a handset maker so can apple users dude. I don't think you got the point of his comment, iOS users have a harder time switching manufacturers than Android or WP users, because no one else makes iOS devices; so, you have to adapt to a whole new ecosystem and you lose all of your app and accessory investments. The point he was trying to make was that Apple users might feel forced to stay with Apple because they have too much inside the Apple ecosystem that would be a big hassle to recover, if you even could recover all of it. So, some portion of Apple's market share is made up of people who WANT to switch, but they can't because they are too involved with the ecosystem. It's easy to switch from Samsung to Motorola, or HTC to Sony, because they all share the Android ecosystem. You just have to log into your Google account and everything is right there for you, you might lose your case and screen protector, but nothing big; same for WP. However, switching from iOS to Android/WP/BB10 (or vice versa) is a very big change. First, you lose all of your apps and have to go searching for them in your OS's app store, some of them won't even be there; and when you do find all your apps, you've lost the in-app purchases you might have made in your previous OS. Then, if you're switching from iOS, you lose all of you iAccessories (if you have them); docks, speakers, special battery packs, etc., because Apple has to be weird and use non-standard connection ports. that d thing fanboy. android has too many phones n not able to integrate the hardware properly , thats y its thursty of raw power , while iphone utilises wat it has n be d best in terms of perfomance . the UI has to be updated by apple , n may be it'll updated in ios7 . people should go after perfomance instead of spec . u r taking like intel i7 2ghz vs core2duo 2.8 ghz . spec is high in core2duo , but which1 wins ?!! I rather see 10 Android flagships than 1 Apple flagship even if that means fragmentation. All the critics have thrown that word around for years and it has done nothing to the popularity of Android. Apple needs more than 1 flagship model with various screen sizes. Not a cheap imitation of their flagship model. For showing off and " look I'm cool" I've got a i$h€€p phone, and I'm a typical moron....! Which market? not ones that i've seen lately. Mxy, please do your homework. The iPhones is not the hottest selling phone on the market. It is, and second place isn't even close. You do realize that the Galaxy S line recently eclipsed the 100 million mark, right? Impressive, am I right? That's less than the iPhone sold in 2012. If u don't like em don't buy em. Let those who like em enjoy em. Pretty simple huh? You should be well informed, that your comments are ridiculous. Thank you! Simple answer found! People who are happy with their iPhones can never be convinced that their device is a "disgrace to society", even just as much as people who are happy with their Android device can never be convinced that their DROID is buggy as all get out. People have their OWN yardsticks by which to measure their own contentment with their own product choices, and to say that either the iPhone, or Android devices, are complete junk across the board... or a "disgrace to society"... as a blanket statement is ridiculous, and does no one any good. That said, if I can ever spare $300, I would gladly throw it down to sample an iPhone mini/Air/whatever, even just to try it out. If it works anything like the original, then I have no doubt it will do just fine. Would it be my primary phone? Possibly not, but just the same I can see that $300 value in trying it out for a couple years just to widen my horizons and perspective. The other iPhones are just too expensive to justify trying them out in a more casual manner. I already know I'm not a fan of most (note: MOST) Android devices that dwell in the < $300 market space, but I would be willing to try something new that enters that space. IF the Nokia Lumia 620 ever came to the US, I might even consider trying that out, even with all the negative vibes I've gotten from Windows 8/RT/Phone 8 PC's, devices, and service setups. All tho iPhone(s) have same Design and s**tty innovations ( actually no innovations at all ).. They still stands up in the market. I feel like a less costly iphone is pretty unnecessary, seeing how iphone 4's are free on contract and 4s is only a $100. I'm much more interested in the newest iOS. 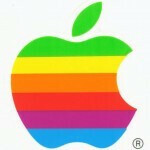 Really hoping Apple has some big things planned. India has no contract model. Even the model of "Reverse Subsidy" failed to gain any traction. the problem in india is they dont have authorised apple stores n sellers sell it at pretty high prices. apple has to take care of bigmarkets like india n china by bringing the prices down. $300 for mini Vs $349 for Nexus 4 ... hmm which one do i take? NEXUS 4 of course :) $300 landed price in India would become more than INR 24000. Thi9s is too expensive to be called a cheap phone. Here understanding of cheap phone means 5 inch screen with 720p display for 280$ landed (ie 15K max) like Micromax A116 and even that some say is a bit overpriced at 15K. sweet point is roughly 12-13k (around $250 landed or $180 pre import). a $100 phone sold for $300 ... $100 is for the phone and $200 is for the logo. I read they couldn't make enough iPhone 4s to keep up with demand. Do they need a new cheaper handset?